EPFL — through the National Centre of Competence in Research MARVEL — recently signed an agreement with the firm Solvay. The aim of this partnership is to use quantum modeling to gain greater insight into physical and chemical phenomena and predict innovative materials and composites with a promising range of properties. EPFL, acting through the National Centre of Competence in Research (NCCR) MARVEL, and Solvay recently signed a partnership agreement to use atomic-scale modeling to increase researchers' understanding of key chemical reactions and optimize the properties of the composites involved. 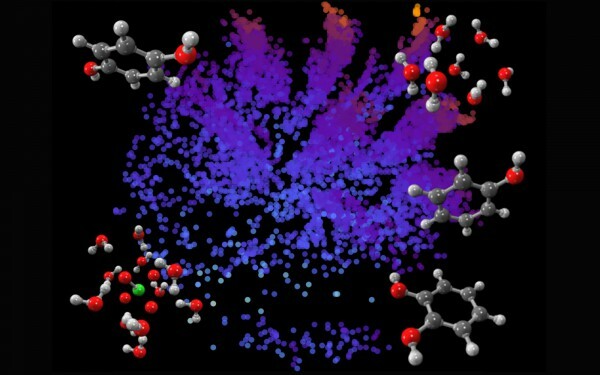 "By working together and pooling our expertise in chemistry, quantum modeling and machine learning, we will be able to study complex chemical reactions from a whole new angle," explain EPFL professors Michele Ceriotti, from the Laboratory of Computational Science and Modelling, and Clémence Corminboeuf, from the Laboratory for Computational Molecular Design. According to Patrick Maestro, Solvay's scientific director, "a modeling-based approach is of twofold interest for industry, as it filters out the best potential composites in silico prior to the experimental phase, and costs can be managed more effectively." For such an approach, new computational methods requiring supercomputers will have to be developed. Both partners share an interest in tech transfer and innovation. That's why they have teamed up for this first project, which will provide funding to two researchers for two years. And other projects are likely to follow suit. Solvay is a leader in markets as varied as aerospace, cars, electronics and cosmetics, for which it develops tailor-made chemical materials and composites. It is therefore an attractive potential employer for future EPFL graduates. "Teaming up with an industry leader like Solvay will be very beneficial to EPFL. After all, innovation is about more than transferring technology from laboratory to industry and can be enhanced by bringing the challenges of industry into the equation," says Marc Gruber, Vice President for Innovation at EPFL. For Nicolas Cudré-Mauroux, Group Research & Innovation General Manager at Solvay, the partnership with EPFL will also be an asset for his company: "We are very excited to be teaming up with EPFL. Not only does the school have an international reputation for scientific excellence, but it also offers the opportunity to carry out research projects in an ecosystem that brings together multiple disciplines and is open to collaborating with industrial groups like ours." Solvay is an advanced materials and specialty chemicals company, committed to developing chemistry that addresses key societal challenges. Solvay innovates and partners with customers worldwide in many diverse end markets. Its products are used in planes, cars, batteries, smart and medical devices, as well as in mineral and oil and gas extraction, enhancing efficiency and sustainability. Its lightweighting materials promote cleaner mobility, its formulations optimize the use of resources and its performance chemicals improve air and water quality. Solvay is headquartered in Brussels with around 26,800 employees in 61 countries. EPFL is Europe's most cosmopolitan technical university with students, professors and staff from over 120 nations. A dynamic environment, open to Switzerland and the world, EPFL is centered on three missions: teaching, research and technology transfer. EPFL works together with an extensive network of academic and industry partners and is involved in several international projects, some of which are conducted in developing countries. The goal of the National Centre of Competence in Research MARVEL — Materials' Revolution: Computational Design and Discovery of Novel Materials — is to design and discover novel materials via quantum simulations. It is funded by the Swiss National Science Foundation and currently brings together around one hundred PhD students and postdocs from over 35 laboratories in 12 Swiss institutions. It was created in 2014 and is run by EPFL Professor Nicola Marzari.